Here is Gamall Augustin, Director General of National Radio and Television of Haiti. 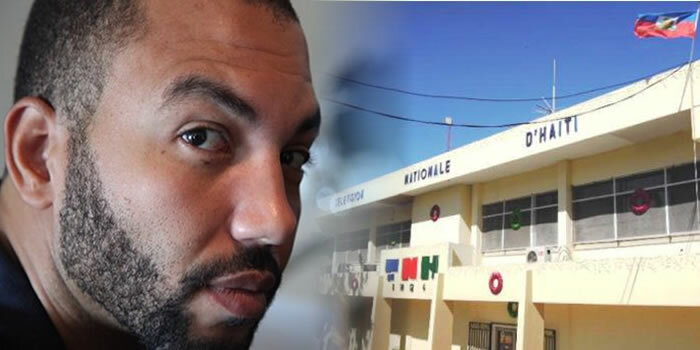 21 July 2015 saw the installation of Gamall Augustin as the seventh Director General of Radio Télévision Nationale D'Haïti (RTNH). The RTNH is the state broadcaster of Haiti and airs information about the activities of the government and promotes the Haitian culture. Mr. Gamall succeeded Hérold Israël who has held the post since January 2015. The government spokesperson, Francois Rothchild Jr. and Calvin Cadet, the Director General of the Ministry of Communication entrusted Gamall Augustin with his responsibility. With the new post, he was also asked to pay heed to the instructions laid down by the Head of State, while carrying out the functioning of the media. The upcoming events to be covered by the media include inter alia, elections and the Caribbean Arts Festival. It is the first objective of the new DG to peacefully conclude the broadcast of these events.